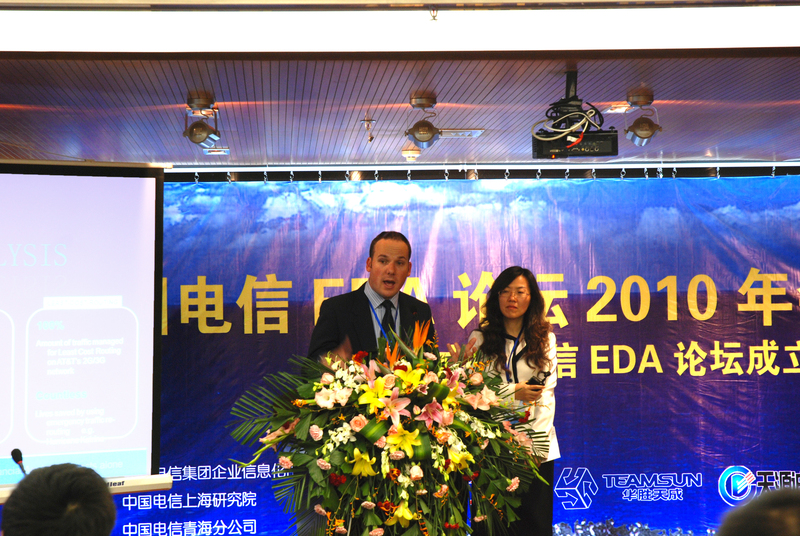 LGR delivered a keynote presentation today at the China Telecom EDA Forum in Xining, China. Taking the stage along with local Oracle colleagues, Paul Hartley introduced the audience to global examples of innovation in telecom BI and Analytics, before providing a detailed analysis of the best-practice architectures required to achieve and maintain these competitive advantages. Hartley now moves on to Beijing, where he will be spending time with key executives from China Mobile and China Telecom over the course of next week.